At Child’s Play Pediatric Dentistry, we strive to create a positive dental experience for your child. Dr. Lisa Coveney, Dr. Geoffrey Grant, and Dr. Lori Lee Santos deliver experienced, patient-centered pediatric dental care. They connect with children at their level, inspiring each child to take control of their smile’s health. Along with our dedicated team members, we place each boy and girl’s emotional and physical well-being as our top priority. By providing a fun, safe, and encouraging environment for our young patients, we help them learn that a visit to the dentist is an exciting adventure. We have created an inviting, child-friendly practice, where kids laugh, learn, and enjoy themselves. Our jungle theme never fails to enchant even the most reluctant little one! We will encourage your child’s independence, and teaching him or her the best way to keep the teeth and mouth clean. We also teach kids about making good nutrition decisions and developing healthy habits. Our goal is to help your son or daughter become enthusiastic about caring for their smile, so it will be kept healthy and beautiful for a lifetime. Our Langley, BC pediatric dental office serves Maple Ridge, Surrey, Abbotsford, and all surrounding Lower Mainland communities. 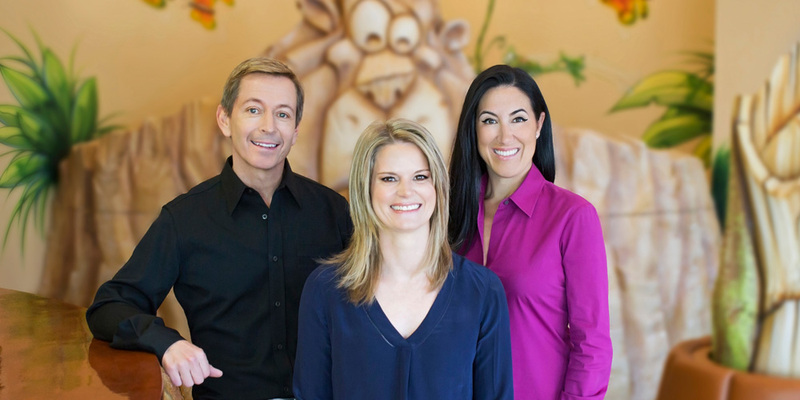 The doctors and team at Child’s Play Pediatric Dentistry look forward to welcoming your child and you to our practice. We’d be honored to start your little one on the path to a lifetime of healthy, wonderful smiles.